Barbara is a resident of Sand Lake. She is a basket weaver, and you might have seen or bought her work. She used her creativity to hand-weave the mailbox. 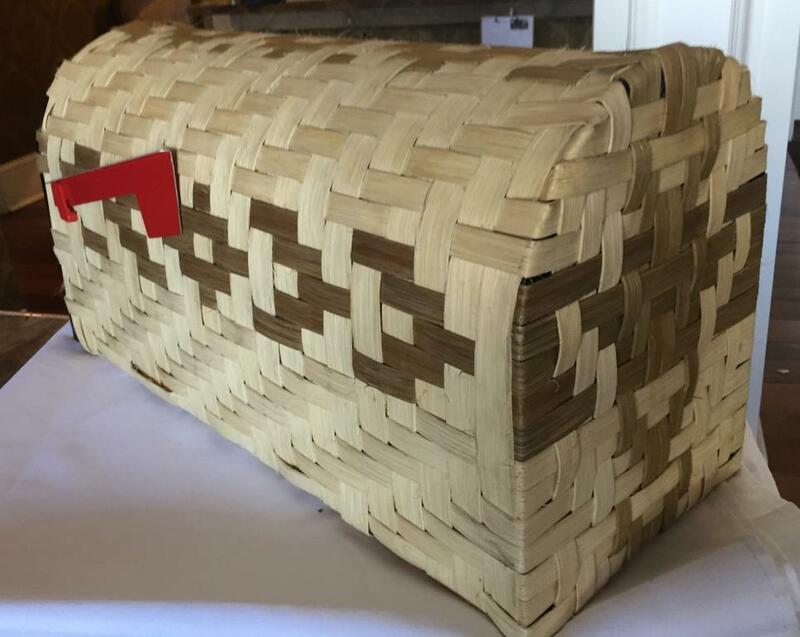 A traditional basket pattern is now a mailbox cover.